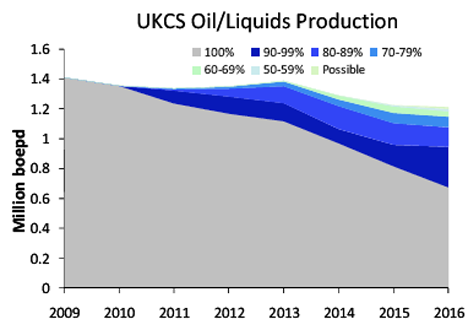 UK Oil Production Weakness Last month, Barclays Capital reported that it anticipated weakness in UK total oil liquids output to continue as no major field start-ups to boost output are in sight. New Production Coming Online Weakness in oil output is expected to continue; however, new oil and gas production is expected to come online within the next year. Endeavour International Corporation expects oil production from its Bacchus development on UK Block 22/6a in the Central North Sea to begin during the second half of this year, and gas production from its Columbus development on UK Block 23/16f to begin in 2012. 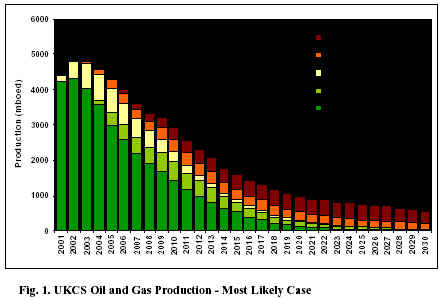 O&G Employment Outlook for UK Salaries in the UK oil and gas industry through 2010 were some 50% lower than those in other oil and gas regions, such as the U.S. or Norway, as the UK oil and gas industry was dragged down by the recession experienced by the overall UK economy. While these are now rising, they are still lagging some way behind their counterparts. "Consequently, many international companies are targeting the UK as a location in which they can recruit highly skilled talent at relatively low costs," said Matt Underhill, managing director for oil and gas at Hays Recruiting.